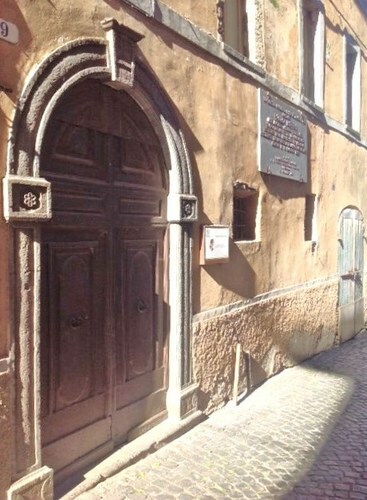 The following pictures show one of the most interesting and representative buildings of Valentano (Via Carlo Alberto, 9), the house where Paolo Ruffini was born and lived. The place is simple but fascinating at the same time, because of its location in a small village of the town, in which we can observe features of the medieval shops. This is “Via Carlo Alberto”. 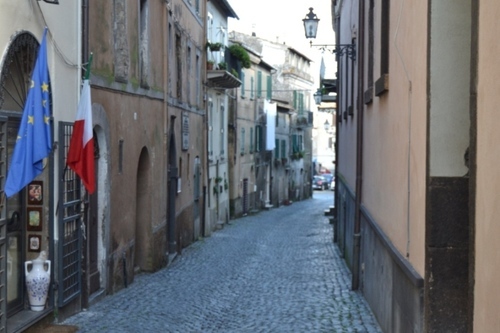 You can see on the left Paolo Ruffini's birthplace, where he spent his childhood, unknown to the general public. 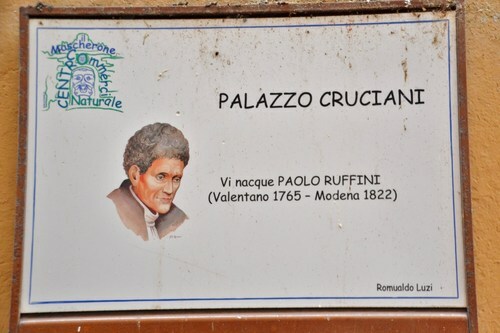 This is the massive main entrance of Paolo Ruffini's house. 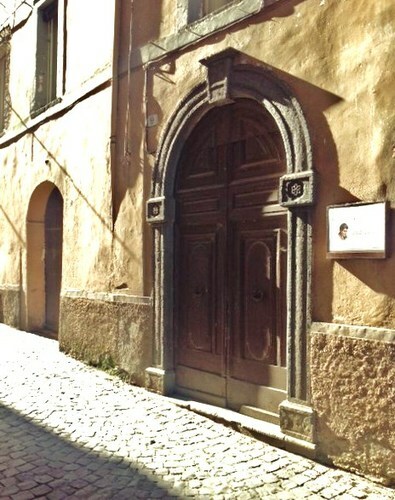 The door, surmounted by a classic stone arch, is made of dark walnut. 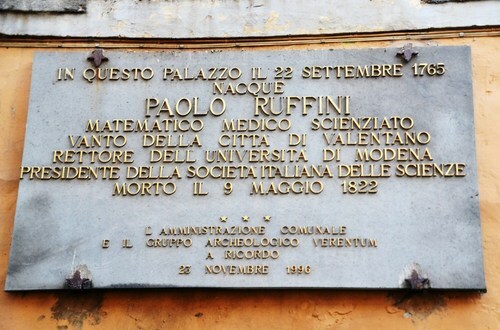 This memorial stone plate remembers Paolo Ruffini's great titles and honors. It's affixed on the wall in the upper right side, next to the arch. Just next to the main entrance, on the right, a small ceramic plate remembers the real name of the building in which the scientist was born and lived with his family.